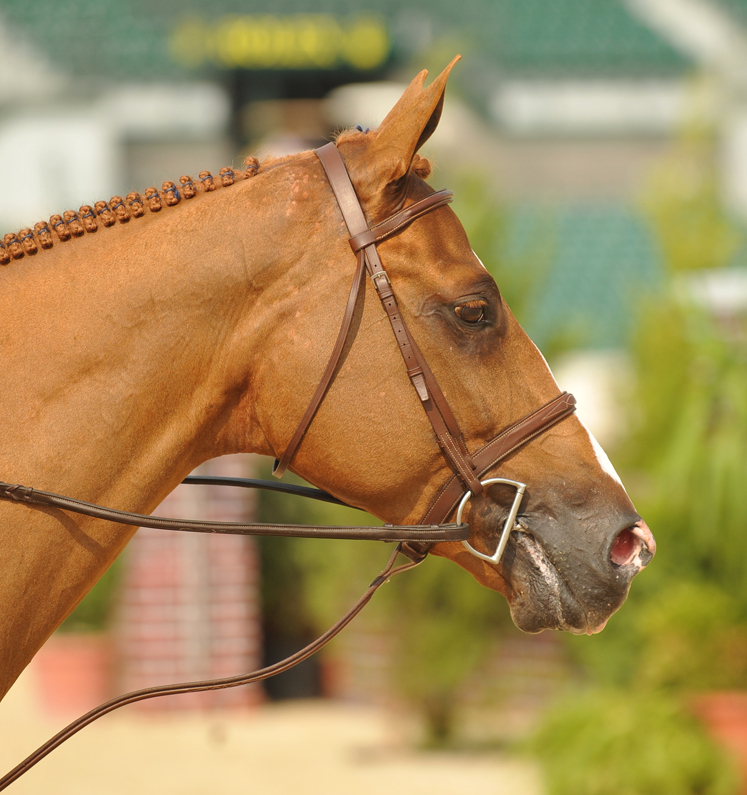 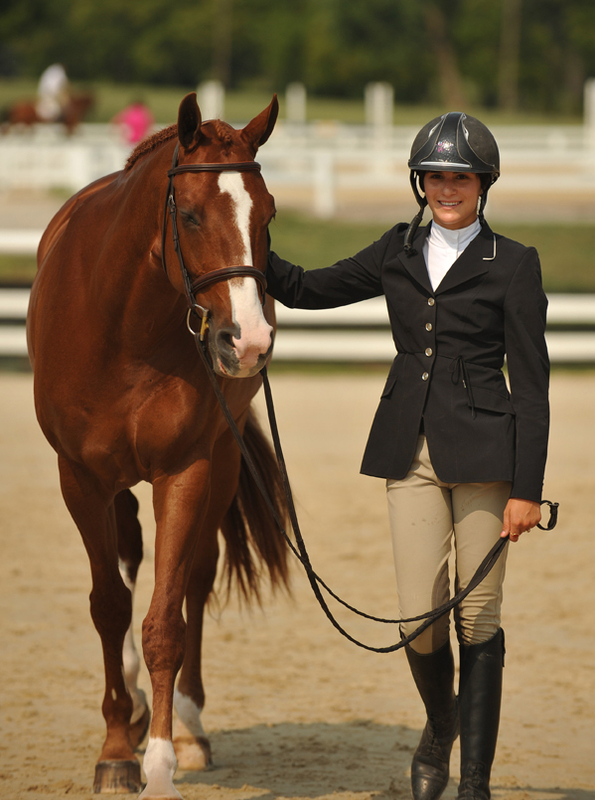 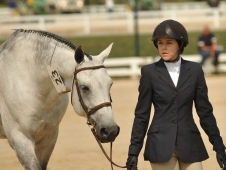 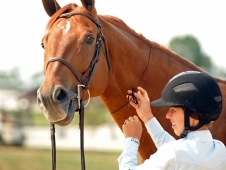 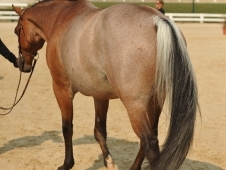 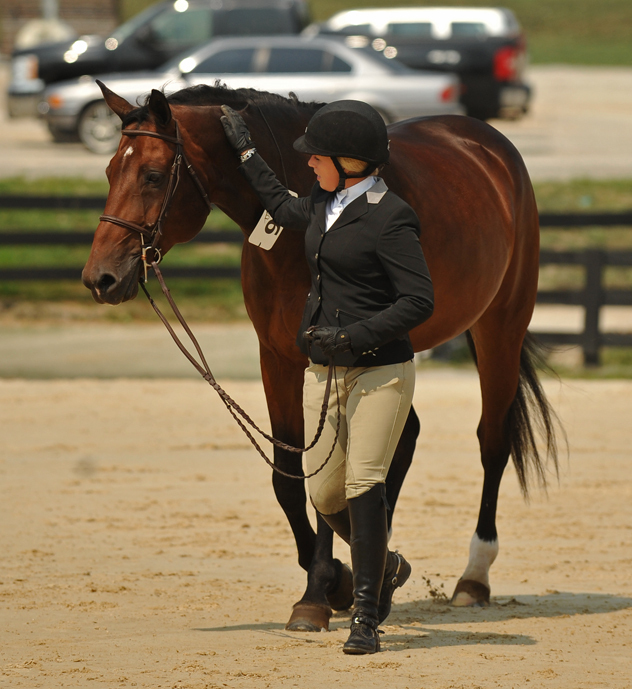 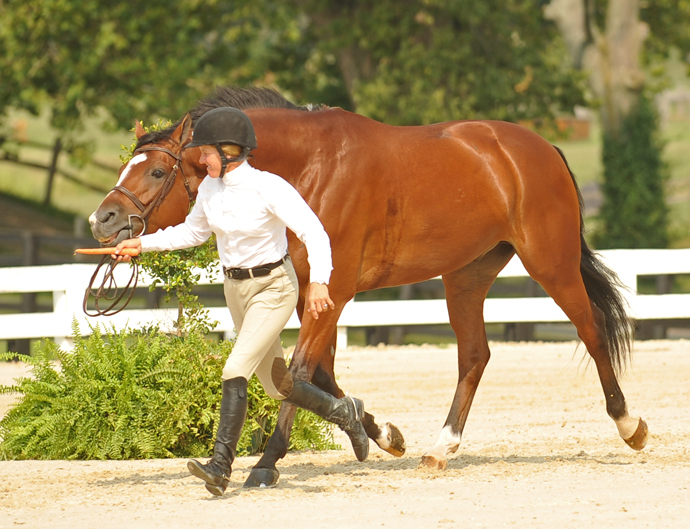 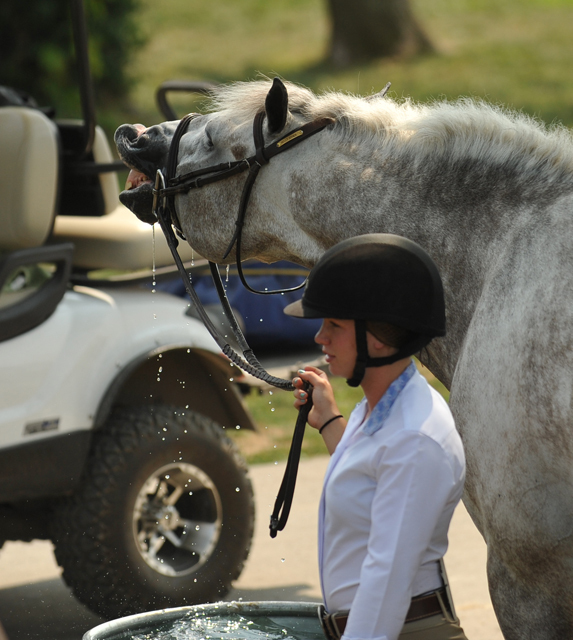 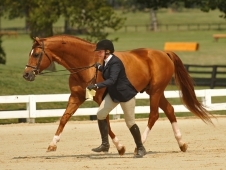 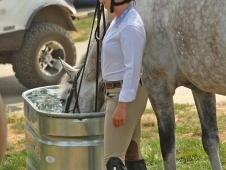 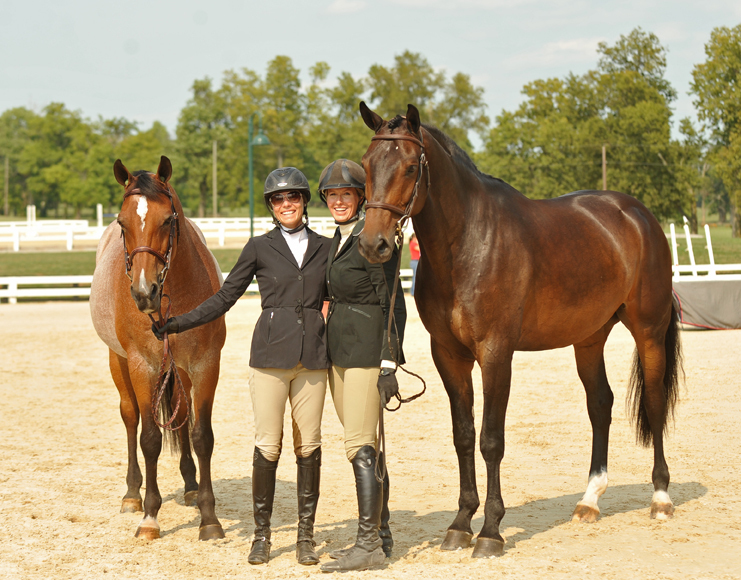 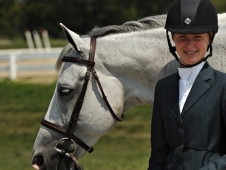 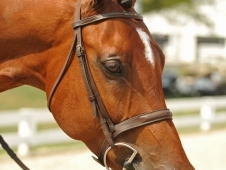 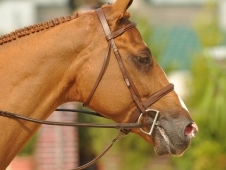 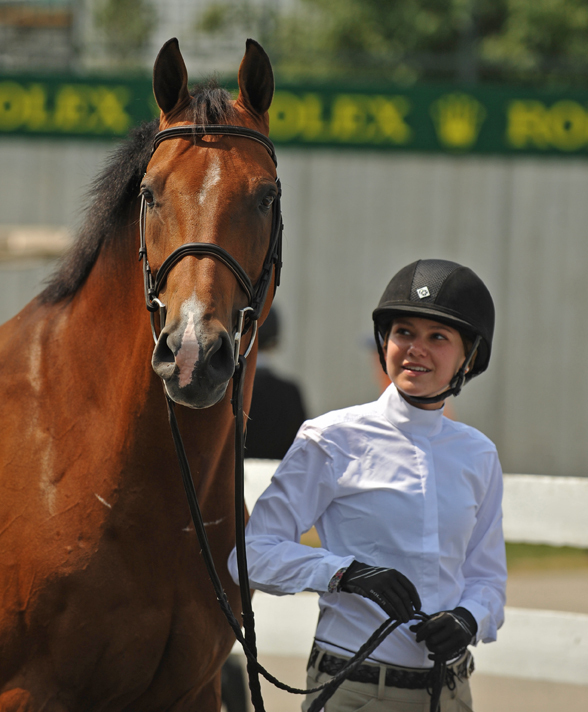 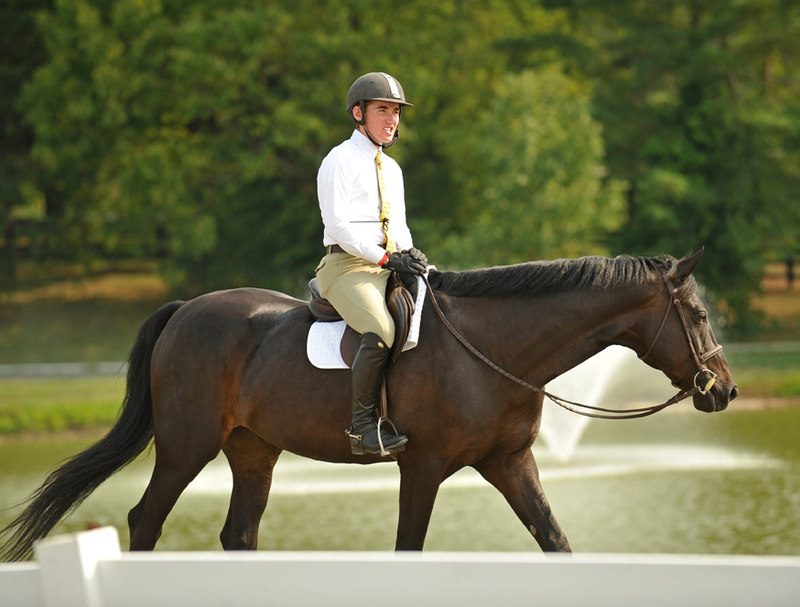 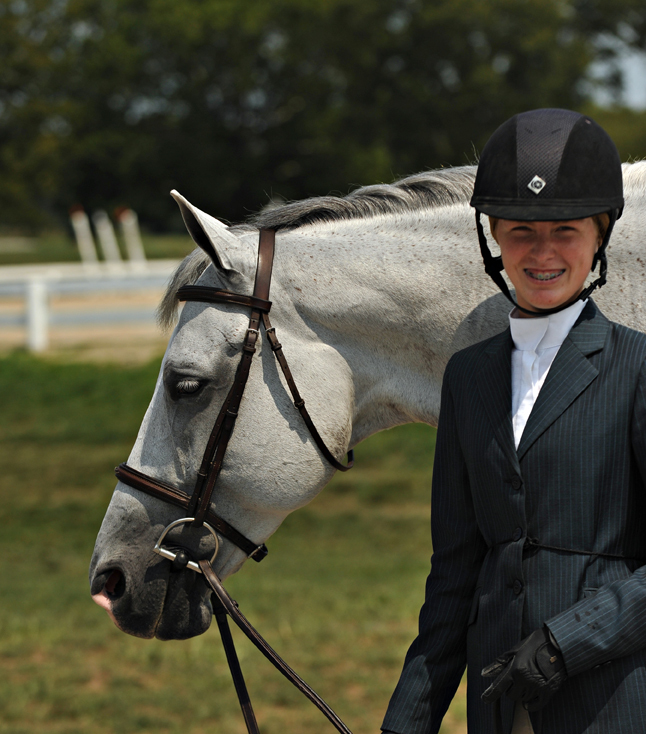 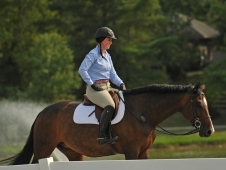 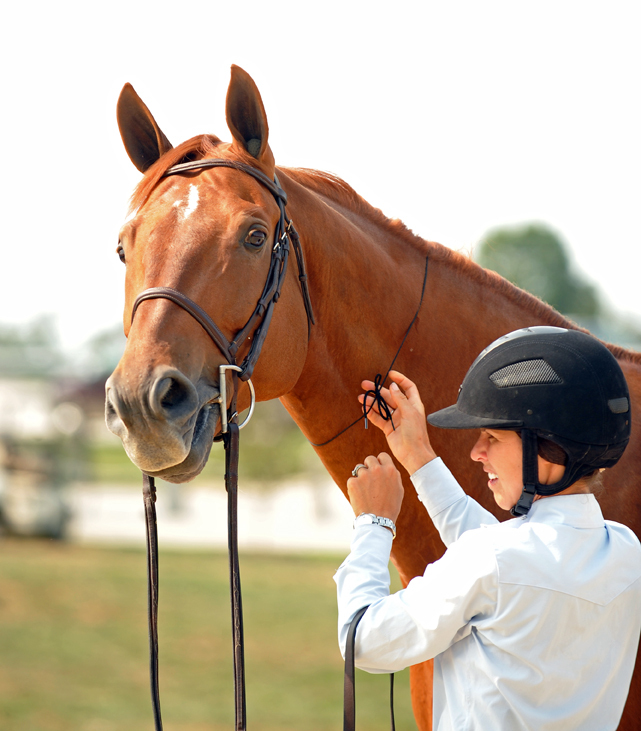 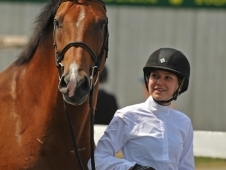 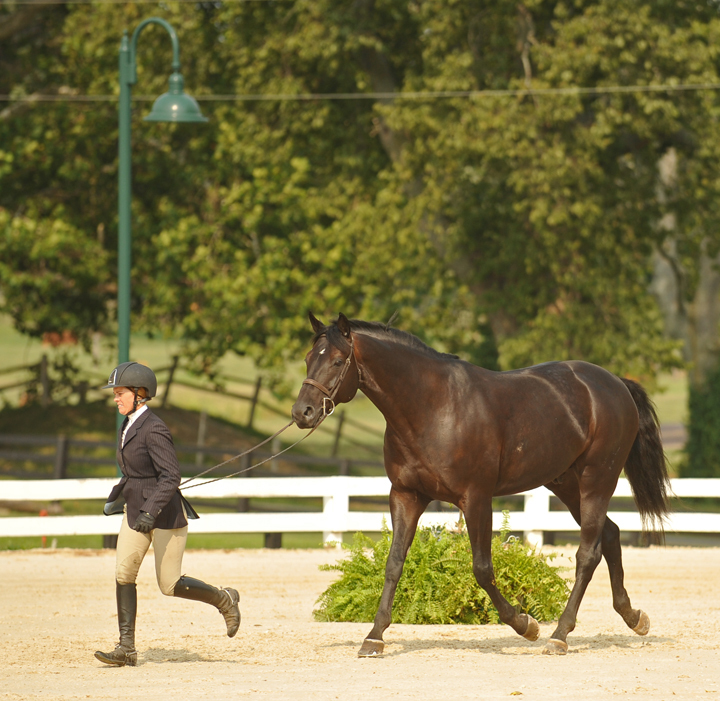 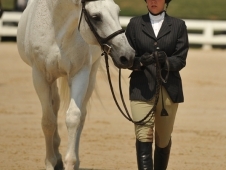 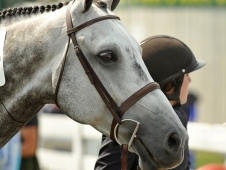 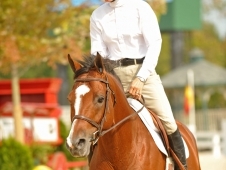 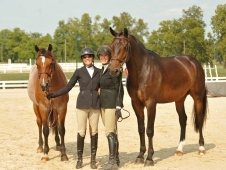 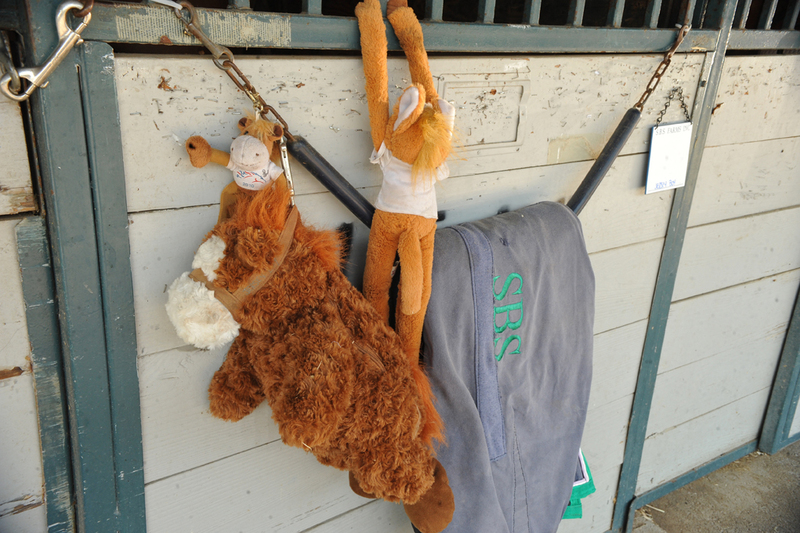 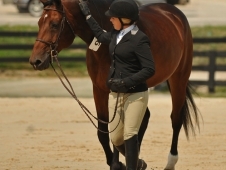 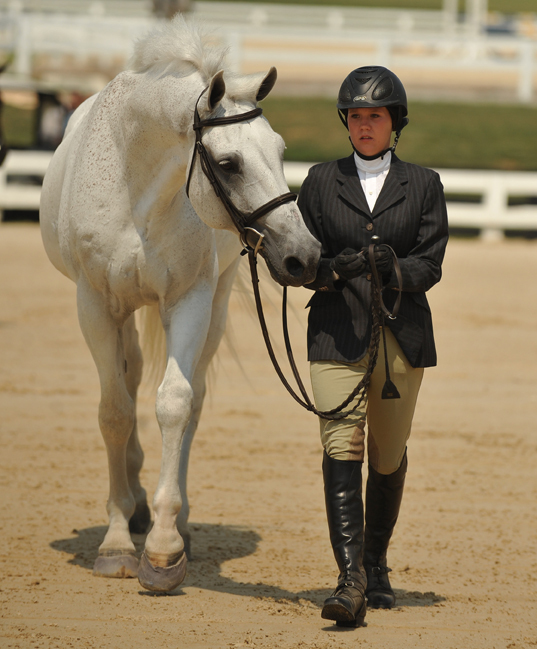 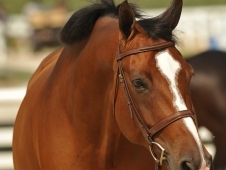 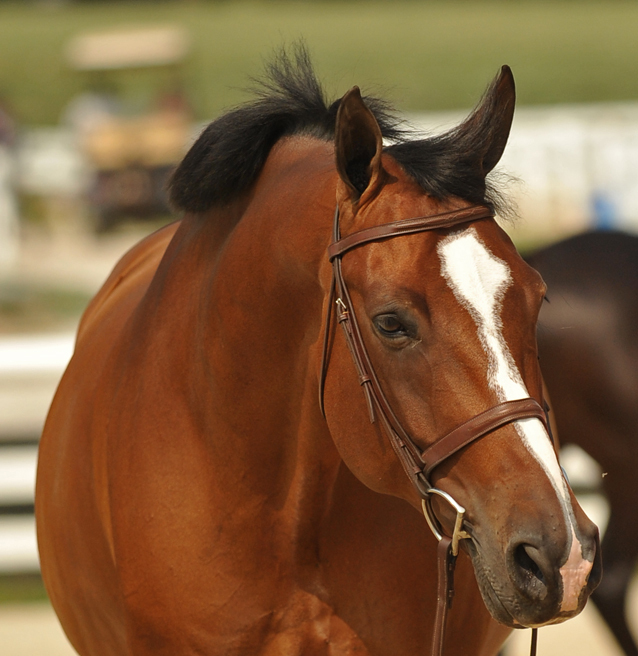 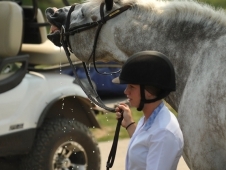 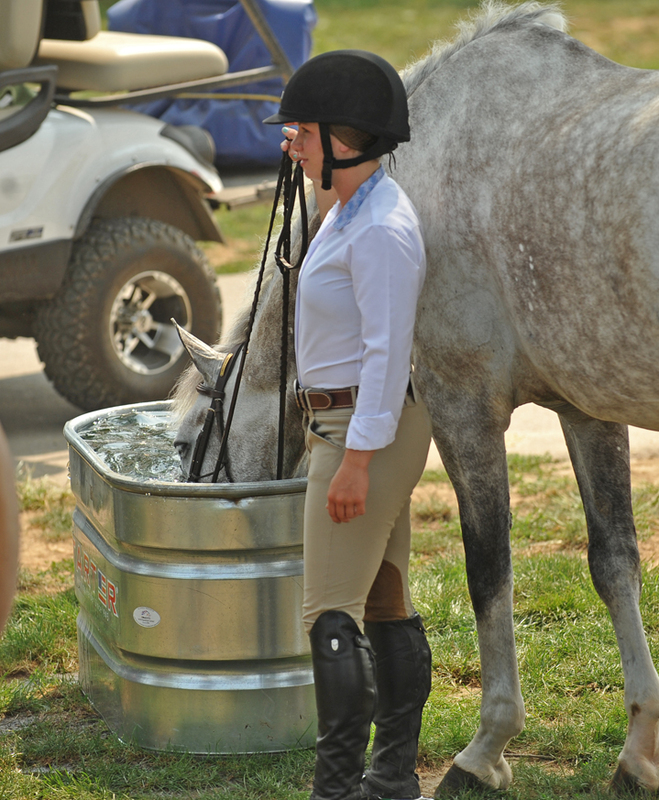 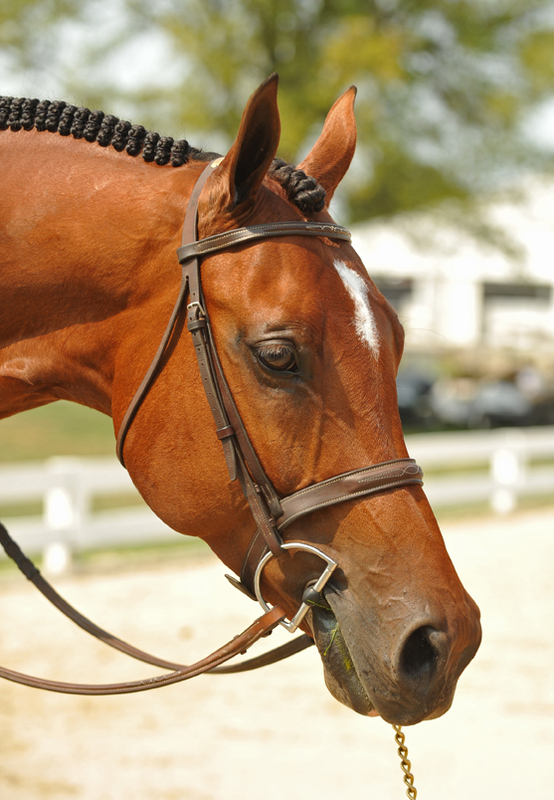 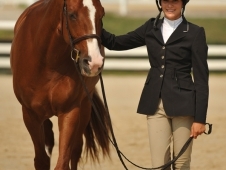 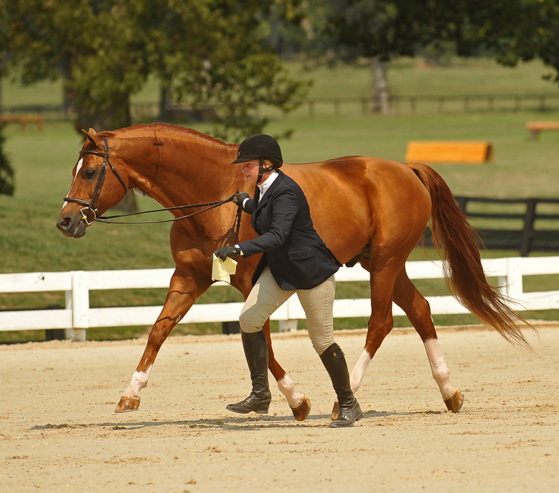 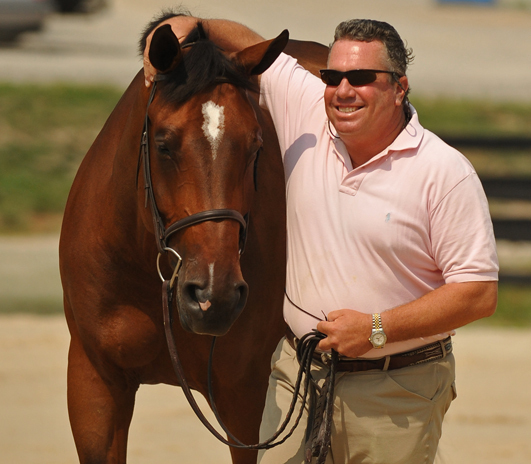 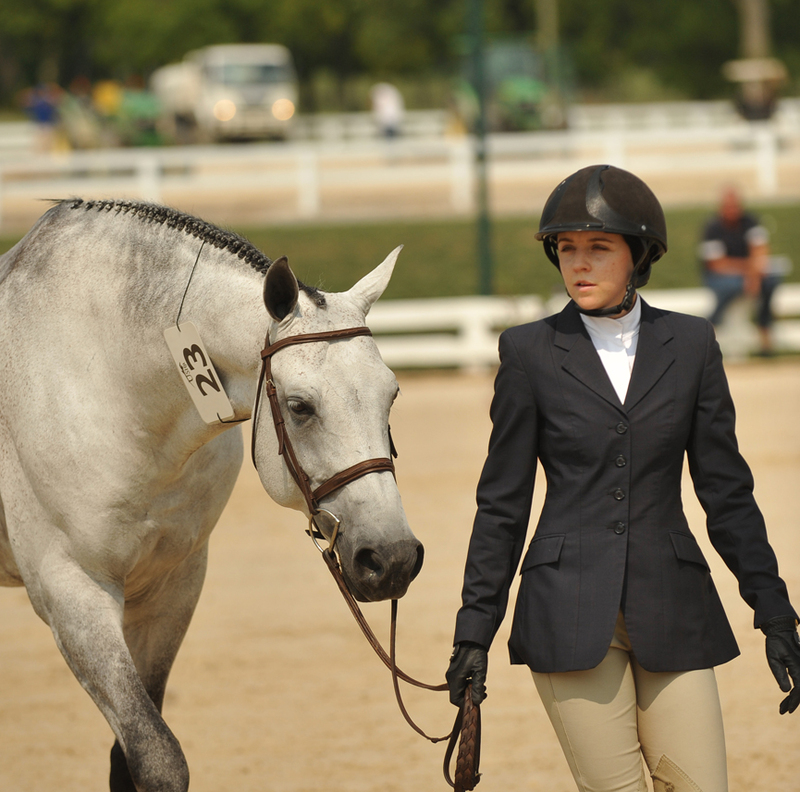 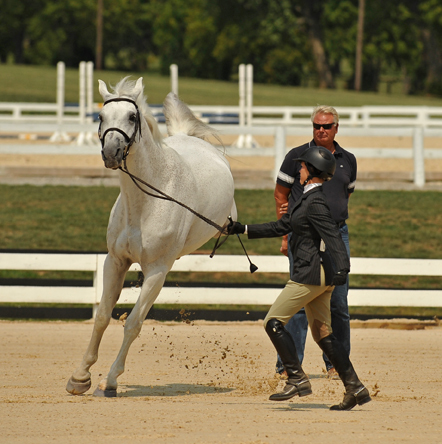 The Classic Round for the 2012 USHJA International Hunter Derby Finals will kick off at 8 a.m. Friday, Aug. 16. 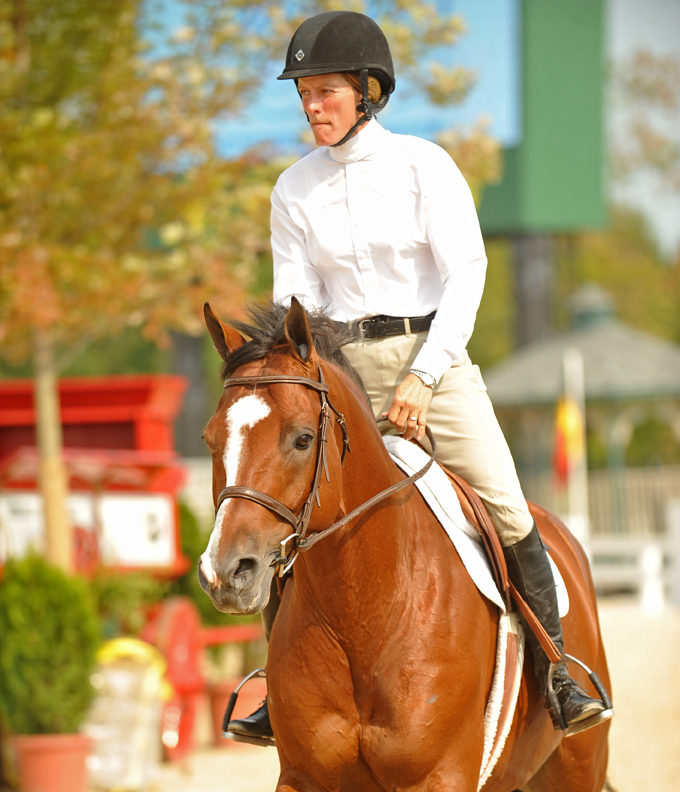 Several late scratches, including Katie Lambert-Boone’s rides Shade and Celebrate, bring the total to 81 entries. 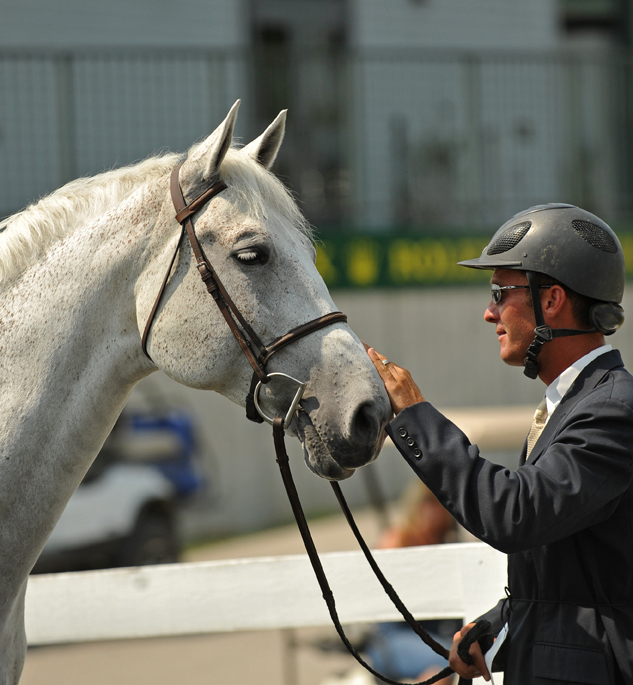 Judges Patrick Rodes and Geoff Teall accepted all the entries. 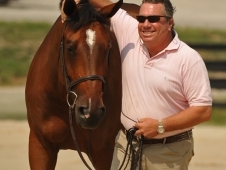 Steve Stephens has built a gorgeous track in the Sheila C. Johnson arena, hauling in a few dozen trees and several stagecoaches. 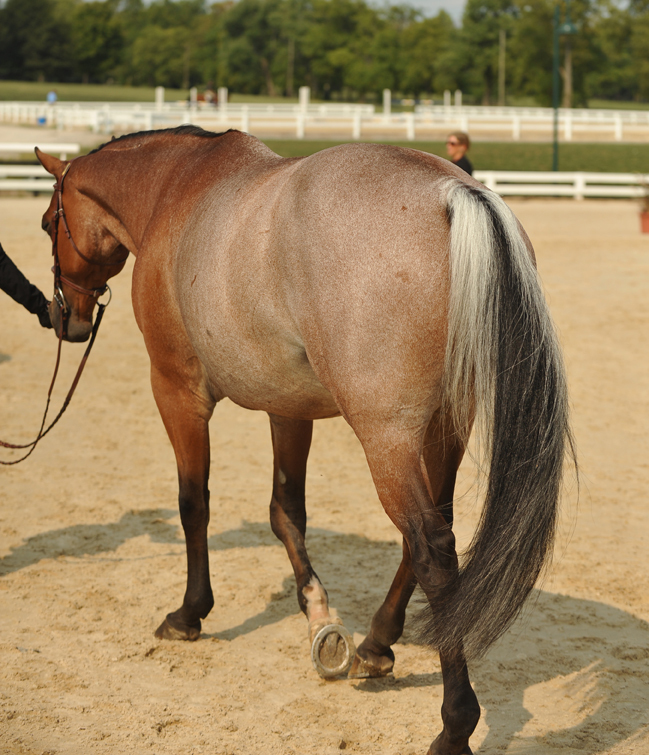 It’s his first year building for Derby Finals. 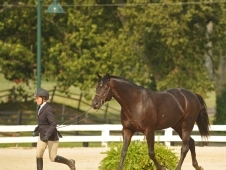 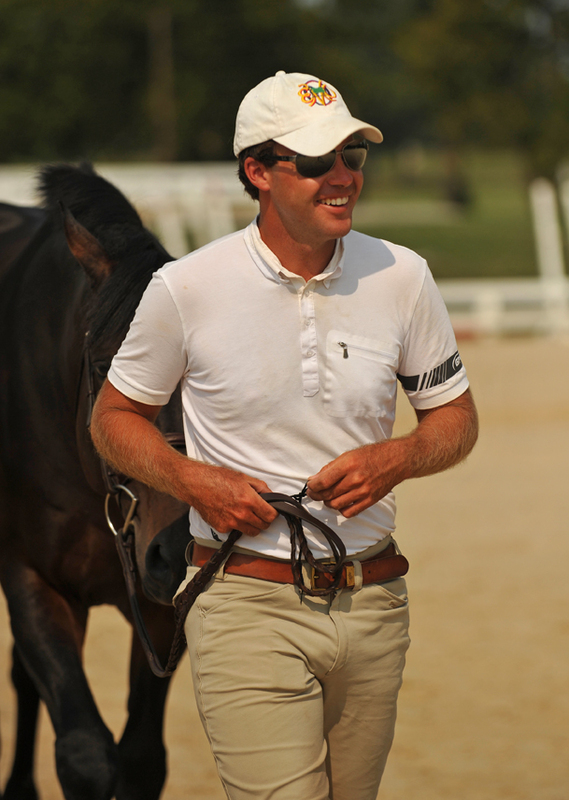 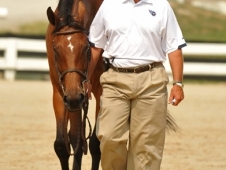 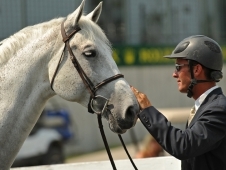 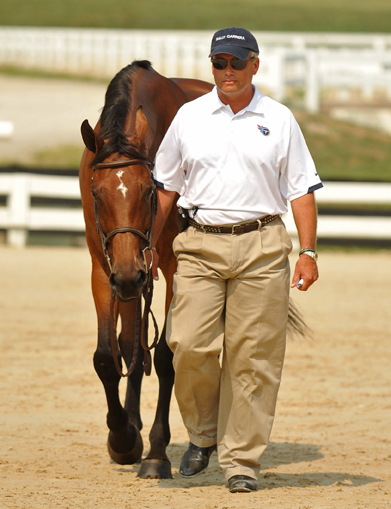 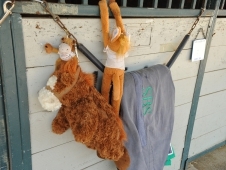 The top 30 horses in tomorrow’s Classic Round will advance to the Handy Round, which kicks off Saturday Aug. 18 at 8 p.m. That round will be broadcast live on USEF Network http://www.usefnetwork.com/, and you can join the Chronicle in an interactive blog. 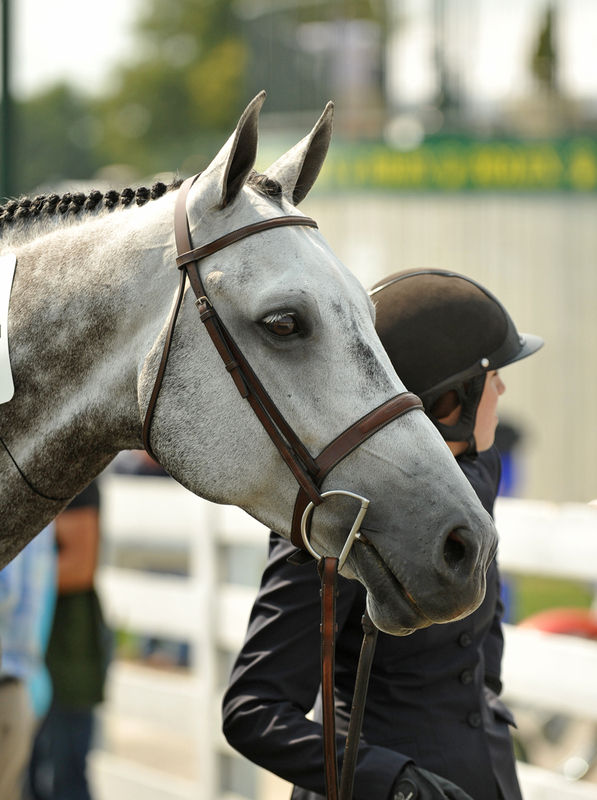 This year the next 31-60th horses in the Classic will advance to a Consolation Round, Saturday at 4p.m., where they’ll jump for $15,000.